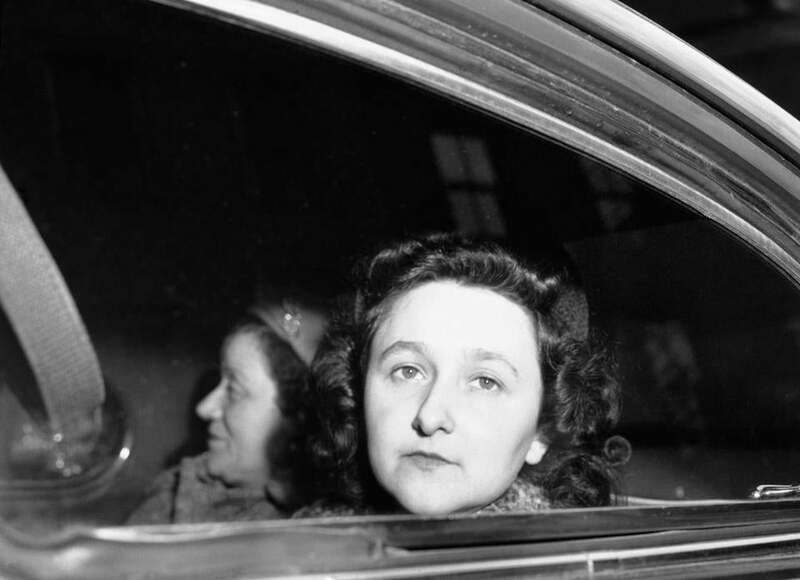 Ethel Rosenberg sat in a car as she started her trip to Sing Sing prison, April 11, 1951. US Deputy Marshal Sarah Goldstein was with her. Ethel Rosenberg died June 19, 1953, executed by her government for a crime she did not commit. Ethel Rosenberg was not a spy. She was the mother of two young sons, Michael and Robert, a devoted wife, a native New Yorker who once aspired to be an opera singer. She was also a Communist who believed, as many postwar American leftists did, that socialism could better address society’s ills. Rosenberg was likely aware of her husband’s illicit activities, but there has never been definitive evidence that she collaborated with or aided the Soviet Union in its pursuit of atomic secrets. She was a victim of false testimony, prosecutorial misconduct, and a government too eager to cement its unyielding stance on Communism. It is time for Ethel Rosenberg to receive a presidential pardon. Michael and Robert Meeropol are citing new evidence that Ethel Rosenberg did not seek to pass evidence to the Soviets in sensational Cold War case. decades-old Soviet documents collected and deciphered by the National Security Agency, provided irrefutable proof that Julius was a spy for the Soviet Union, revealing his code names and the depth of his involvement. Yet Ethel is mentioned only once, as being politically active and knowing about her husband’s activities. One month after FBI agents swarmed the Rosenbergs’ small New York apartment to arrest Julius, Ethel Rosenberg was taken into custody. The Rosenbergs’ older son, Michael Meeropol, who was 7 at the time, believes authorities used his mother in an effort to force his father to name names. During a recent “60 Minutes” interview, Meeropol called his mother “collateral damage,” and said what the government did was akin to “putting a gun to her head and saying to [Julius] ‘Talk or we’ll kill her.’ ” In essence, Ethel Rosenberg was used as a hostage. When her husband did not deliver what the government wanted, she was executed. Two men were mostly responsible for Ethel’s death. Her brother, David Greenglass, an Army sergeant who stole intelligence secrets from the Los Alamos, N.M., laboratory, cut a deal with the government for a reduced sentence. To save his wife, Ruth, who was a recruitment intermediary, he gave false testimony that implicated his sister. Greenglass, who died in 2014, expressed no regrets over the decision that sealed his sister’s fate. Then there was the federal prosecutor who, Greenglass claimed, pressured and encouraged him to commit perjury — Roy Cohn. After making his name as the fierce anti-Communist acolyte who helped condemn the Rosenbergs, Cohn became chief counsel to demagogue Senator Joseph McCarthy. Years later, Cohn was the mentor and ruthless protector of a young man from Queens already riding his real estate magnate father’s coattails and money, but eager to establish himself as a power broker in Manhattan and beyond. That man is now President-elect Donald Trump. It is inconceivable that Trump would ever betray Cohn’s memory and pardon the woman his mentor fought so hard to put in the electric chair. On the day of Rosenbergs’ executions, Rabbi Irving Koslowe, Sing Sing prison’s Jewish chaplain, asked Julius if he would reveal any of his coconspirators. He refused, and was executed. Then, as Koslowe recalled decades later in a CNN interview, he posed the same question to Ethel, reminding her that her death would render her sons as orphans. The first jolt of electricity did not kill her. Nearly five minutes after she was first placed in the electric chair, Ethel Rosenberg was pronounced dead. In a final letter to her sons, she wrote, “Always remember that we were innocent and could not wrong our conscience.” Michael Meeropol, now 73 and retired, was an economics professor at Western New England University in Springfield. 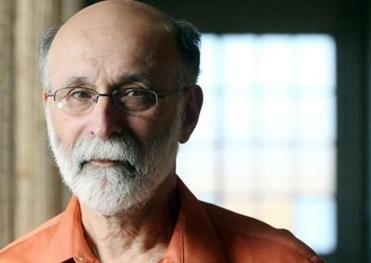 Robert Meeropol, 69, founded the Rosenberg Fund for Children, based in Easthampton, Mass., where he lives. President Obama has issued the fewest pardons — 70, so far — of any two-term president since George Washington. During an August press conference, Obama said that by the end of his presidency, his number of pardons would be “roughly in line with what other presidents have done.” His predecessor, George W. Bush, granted 189 pardons. Obama has been far more generous with commutations. As of Nov. 4. Obama has issued more than 1,000 commutations, including 324 life sentences, many for minor drug offenders who got scooped up by draconian sentencing laws. As the Obama administration winds down, there are still more than 13,000 petitions for presidential pardons and commutations. To be “roughly in line” with Bush, Obama would need to issue more than 100 pardons in less than two months which, given how deliberative he’s been, seems unlikely. Ethel Rosenberg’s sons have campaigned and launched a petition through the Rosenberg Fund for Children for their mother’s exoneration. This may be her last, best chance to be pardoned. Recent Republican evocations of Japanese-American internment camps and talk of reviving the House Un-American Activities Committee to fight terrorism are worrisome reminders that this nation may again turn darkly toward a series of injustices in the name of justice. More than ever, what happened to Ethel Rosenberg, wrongly branded as a traitor and sent to her death because of her political beliefs, should haunt America. Throughout his tenure, Obama has shown extraordinary compassion to hundreds of men and women by commuting their harsh sentences; it is time for him to bestow on Ethel Rosenberg a similar act of presidential mercy and historical reparation.